Breast cancer is a spreading problem. Whether it's someone's sister, mother, friend or neighbor, most people know a woman who's been affected by breast cancer. One in eight women will develop breast cancer in their lifetime, according to the Susan G. Komen website. This cancer doesn't target one age group, one race or one religion. All women are susceptible to getting breast cancer. Though it is a scary diagnosis, it isn't a hopeless one. There are plenty of survivors who fought and defeated cancer. 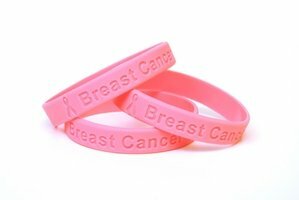 The American Cancer Society noted that 232,340 women are diagnosed with breast cancer each year. By taking the proper steps and helping spread awareness, seniors and other women can help protect themselves and others from developing the disease. There are many early signs and symptoms that women can look for to catch a problem early. However, these indicators may differ between individuals. The Susan G. Komen website suggested that women get a mammogram regularly to detect any signs of cancer. However, females between the ages of 50 and 74 only need to get a mammogram every two years. There are a few common signs of breast cancer that all women can familiarize themselves with in between checkups. If you have any of these symptoms, call your doctor right away for a proper examination and screening. Women can routinely perform self-exams from the comfort of their home. These exams are short and should be done regularly. Ask your health care provider on how to conduct these exams. Take note that some of the signs and symptoms listed above can also be caused by other breast conditions unrelated to cancer. Though some may require treatment, others might not. Women could develop noncancerous cysts in their breasts or have a fibrocystic change in the tissue that can cause pain or an abnormal feeling in the breast. Women with family members who have had the disease should be especially mindful of routine exams. Breast cancer is a hereditary condition, meaning women may have a genetic predisposition to it. If cancer runs in your family, discuss your medical history with your doctor and ask how often you should be examined. Regardless of age or risk, there are a few prevention methods. A healthy diet and regular exercise have several proven health benefits, including preventing illnesses such as cancer. Women who smoke should make efforts to quit, as the habit increases the risk for breast cancer. Consider treatments for tobacco addiction or ask your physician about suggested methods. There are plenty of ways to spread awareness, especially throughout October. Fundraise with a bake sale in your senior community, organize a breast cancer walk and don all pink, or join a volunteer group. Simply spreading the word makes more of an impact than you might think. Help begin to save lives today.